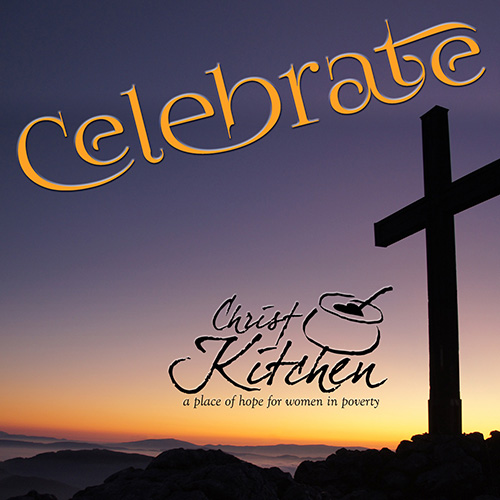 Join Christ Kitchen and Celebrate! 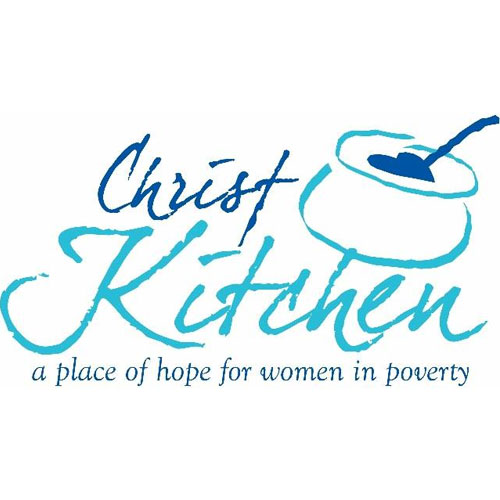 They will be holding a luncheon as well as a dessert event at the First Presbyterian Church on September 10th, 2018, with guest speak Jill Briscoe. 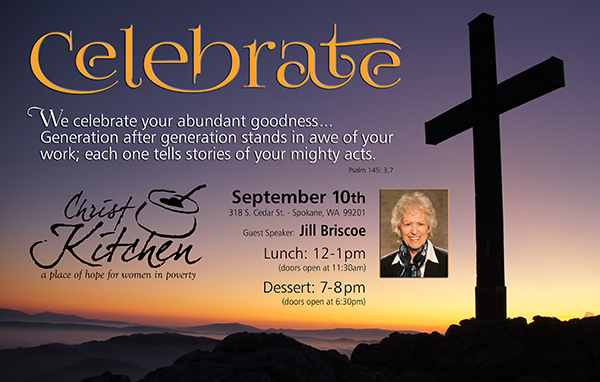 The luncheon will take place from 11:45 pm- 1:00 pm, with doors opening at 11:00 am. The dessert will take place from 6:45 pm - 8 pm, with doors opening at 6:00 pm. Lunch will take place 11:45 pm to 1:00 pm. Doors will be open at 11:00 pm. Tickets will be available for $40 - you are welcome to buy 8 tickets for a table. Tickets will be available for $25 - you are welcome to buy 8 tickets for a table.